QUEZON CITY--Just in time for Valentine’s Day, a toxic chemical tracker has revealed that some lipsticks are laden with hazardous substances way above permissible trace amounts. The EcoWaste Coalition cautioned lipstick lovers against putting on lip color from adulterated and misbranded lipsticks that can expose them to lead and other chemical poisons that are harmful to human health. 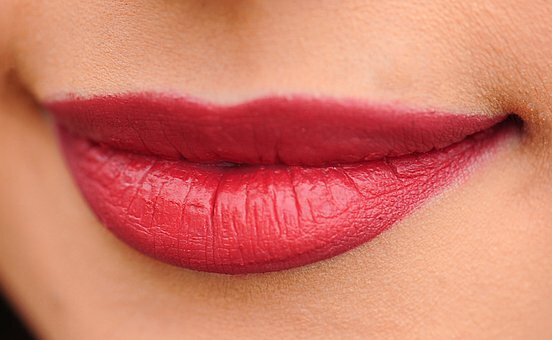 The group gave a word of warning about poison lipsticks after screening 115 samples, representing 11 brands, for heavy metal contaminants using an X-Ray Fluorescence (XRF) analytical device. The group bought the samples for P10 to P50 each from cosmetic vendors in Baclaran, Cubao, Divisoria and Quiapo on February 5, 7 and 8. None of the samples are notified or registered with the Food and Drug Administration (FDA). Out of 115 samples, 61 (53 percent) were found to contain lead concentrations above the 20 parts per million (ppm) limit under the ASEAN Cosmetic Directive (ACD). Of the 61 lead-laden samples, 41 contained lead above 1,000 ppm, with levels ranging from 1,026 to 44,800 ppm. “The levels of lead in these lipsticks are way beyond the permissible limit and, without a shred of doubt, a serious safety concern. Teen girls and adult women should avoid these poison lipsticks as lead, a cumulative toxicant, can build up in the body over time with frequent application of such lipsticks. There is no safe level of lead exposure,” said Thony Dizon, Chemical Safety Campaigner, EcoWaste Coalition. Aside from lead, some samples also screened positive for mercury (32 samples), arsenic (53 samples), and cadmium (10 samples) in excess of the ACD’s trace amount limits for these heavy metals (1 ppm for mercury, and 5 ppm for both arsenic and cadmium). Avoiding poison lipsticks and other cosmetics laden with hazardous substances will also protect the environment from being contaminated with chemicals that are washed down the drain, which can harm fish and other marine organisms, the EcoWaste Coalition pointed out. As these adulterated and misbranded lipsticks are imported, the EcoWaste Coalition urged the government to strengthen border controls to prevent the entry of such cosmetics. There may be a need for the next Congress to enact a Special Law on Counterfeit Cosmetics imposing heavy fines and penalties that will make it unprofitable for manufacturers, importers, distributors and retailers to engage in such business, he added.